Soul of the Boot Entertainment & StrangeTribe Productions announce their 1st surprise in conjunction with DJ Rich Medina party SAT OCT 3rd! 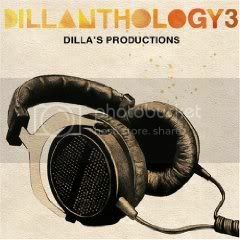 Official Dillanthology3 Listening Party compliments of Fusicology! Support DJ's will spin select tracks from this 3rd release that pays homage to on of hip hop's past pioneers, JDILLA! In the final part of the Dillanthology trilogy, we present a collections of tracks from his classic solo albums and the Jaylib album with Madlib, the album features guest spots from Guilty Simpson, Black Thought (The Roots), Phat Kat, Commom and D’Angelo. Don't forget get to BACK ALLEY SOCIAL early on SAT OCT 3RD! Stay tuned for more.....it ain't over yet! 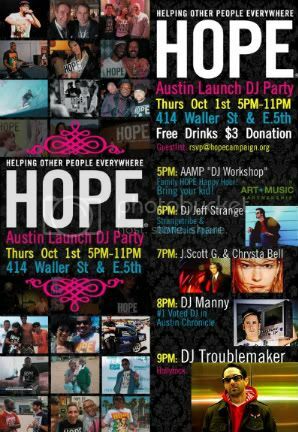 Start ACL weekend with us at the HOPE Campaign! Click link above for Facebook Event details! I am blessed to have such an amazing partner to journey life with, Raina Ester Lakshmi Dasi Gradford! Sometime conflict between our energies propels me to reflect on my controlling personality. It can resemble "Clash of the Titans" at time between us. Big personalities, huge aspirations, and our every changing sensibilities make for a special dynamic that ranges from the blissful highs and the emotional lows. We work amazing together and fulfill each others needs most of the time. When you find the one that is your soulmate, it can be extremely changeling! 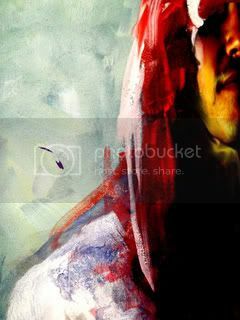 With that said, I love my partner with all my creativity, controlling personality and of course my heart! Don't miss the hottest late night ACL After Party on SAT night! Guest appearances to be announced soon! Take a detour from the media is shoving down your throat to experience imagineIAM. Based in Lafayette, LA this group is the other project running parallel with Bad Chad & The Good Girls. So make your own determination of this energy. Big thanks to Mauricio for the dope design! 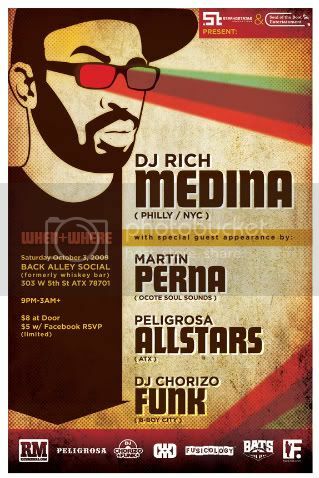 Let's show Rich what Austin is made of......pack the Back Alley Social!